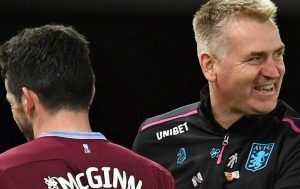 Making sure we've got McGinn for playoffs - AVFC - Aston Villa Fansite, Blog, & Forum..
Aston Villa powered through yet another opponent on the way to securing a playoff position with a dominant 2-1 victory over Bristol City. 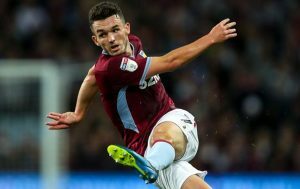 With defensive injuries and suspensions beginning to mount, many supporters including myself had a feeling that the Robins could leave Villa Park with at least a share of the spoils. And when Jack Grealish was announced as being unavailable through illness, then that possibility seemed even more likely. As we know, the team stepped up though to record a historic eighth straight win. The second half performance especially was seriously impressive. A key component of the team coping so well without the talismanic Grealish was John McGinn. McGinn has been in imperious form in recent weeks. A two-match ban in February for collecting ten bookings seems to have benefitted the man nicknamed ‘Meatball’. He has returned with a goal scoring touch to his ever-present tenacity. However, it is that tenacity which is now responsible for a bit of a dilemma. McGinn has gone on to collect a further three bookings since his ban, taking his tally for the season to thirteen. If he reaches fifteen, he will be served with an automatic three-match ban. With the playoffs looming large, this creates a requirement to look at whether there is a need to implement some sort of strategy of whether McGinn should be rested at any point, for fear of the worst possible outcome; missing all three potential playoff matches. The official ruling from the EFL stats that any suspensions picked up during the regulation 46 game season will be enforced into the playoff games. I.e if a player picks up a suspension on the final day of the season, the player will serve the length of that ban into the playoff games. Any bookings picked up during the playoff games themselves do not count towards the overall season total. 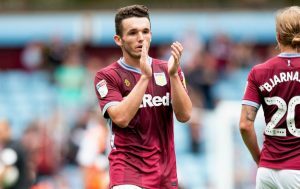 Effectively meaning that if Villa can get McGinn to the end of the season without collecting fifteen bookings, he is given a clean slate for the playoffs. McGinn has made 37 appearances for Villa in total so far this season. That means he picks up a booking every 2.8 matches. With four matches of the normal season left, McGinn is statistically only just likely to avoid picking up two more yellows. It is an absolute tightrope. An assessment must be made of Villa’s current position and requirements to cementing at least 6th place. As it stands, Villa are 5th on 69 points. There is a little cushion to Bristol city in 6th on 65 points who also hold a game in hand over us. Perhaps more importantly, in 7th position lie Middlesbrough on 64 points. Lurking just behind them on 63 points are Derby County who also have a game in hand over us. Realistically, we do not need to look any further down the table. Helpfully, it is worth noting that Derby and Bristol City also have to play each other. This means a guarantee of dropped points for at least one of those clubs. All of this means that to make mathematically certain of a playoff place, Villa still needs to secure nine more points. In reality, two more wins will probably be enough to guarantee a finish ahead of Middlesbrough, unless they win all of their remaining games. If we do reach 75 points, Derby would then need to also win at least four of their last five matches and at least draw their final game to overhaul us thanks to our superior goal difference. So with six points looking more than likely to be enough for a top-six finish, we can now look at the games in question. Our next match sees us visit Bolton Wanderers who are in all sorts of trouble with players not being paid and are all but relegated already. Villa has to ensure a win here. People may think a home tie against Millwall is also somewhat of a gimmie, but we have a terrible record against the Lions. Both since we dropped down to the Championship and in recent cup games as a Premier League side. They are scrapping for their lives, as displayed by grabbing a point against promotion-chasing Sheffield United last time out. Our toughest game on paper comes with a visit to Leeds United who could well need a win at that point to secure a second place finish. We then wrap things up at Villa Park against Champions elect Norwich City who will hopefully be on the beach at that point having done the hard work. So, first of all, should McGinn have his matches managed in the first place? To an extent, that’s a yes from me; but only when it’s necessary. He has proven himself to be incredibly influential to the team and the prospect of him missing out on the playoffs altogether is a situation which must be avoided at all costs. We are a much weaker side without his industry and doggedness in midfield. So then the question is do you pick and choose which matches to leave him out of the team? I don’t necessarily think that is the way to handle it. Managing the momentum of the player, and the team, is a big factor, so being overly cautious isn’t the approach I’d take. For me, looking at the games I think it’s pretty straightforward. I don’t really see the need to exclude him for the trip to Bolton. I can see the logic in leaving him out for this game as it should be fairly routine. The Trotters have barely any fight left in them and it’s a good chance for McGinn to exercise some discipline and get through the game without additional cautions. I would also hate to take the game lightly by making changes and come unstuck. The match against Millwall, however, will be much more feisty. I think this game, in particular, is key for us. After presumably picking up three points against Bolton, Villa could all but secure their top six spot against the Lions. There is an increased risk of a booking in a game like this. It’s a must-win game and I think McGinn would be a huge part in getting that win. After that, we’re looking at whether McGinn has in fact picked up that further card. For me, if he’s on 14 bookings from this point onwards, he has to be rested for the playoffs. If not, I would simply continue to play him until that point. Let’s ensure we get the points in the bank rather than looking over our shoulder because we played a weakened team because of what might happen. Asking McGinn to calm down isn’t an option. You don’t want to have the player playing within himself, especially on such a good run of form. That is his game and to try and change it at this stage in the season would only be detrimental. McGinn’s style of play is obviously combative and you have to accept that type of player will collect bookings. However, the volume and rate of which McGinn is accumulating yellows do lead to potential problems such as the one we’re facing now. It’s an issue that needs to be addressed ahead of next season as losing a player of Meatball’s quality even for a game can be costly.